This month we had a chat with Sara Garry, Administrator at Cullross to find out how Aquarius is helping her business. “In December we appointed Aquarius to handle our out-of-hours/emergency calls. We are committed to providing high-quality customer service and Aquarius’s provided us exactly the cover we require and delivers it in a very professional way. We cannot fault them. Tell us a little about Cullross? 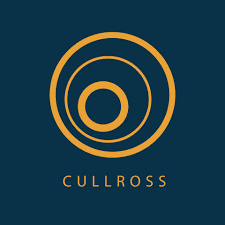 Cullross are a fast-growing property development business. We specialise in building affordable housing. What issues did you identify in your business that prompted you to approach Aquarius? We approached Aquarius to assist with our out of hours/emergency calls, calls of this nature are dealt with exactly the way we’d discussed. As a small business, we were aware that from time to time were missing calls. We have high standards for customer service and needed a little help with delivering this. How does Aquarius support Cullross? Aquarius has given us the exact level of support we need. Their service has allowed us to carry on with our busy schedules knowing no call goes unanswered. How do you feel the partnership with Aquarius works? From Cullross’s point of view, it works very well indeed. We find Aquarius approachable and they give very personalised service. How do you feel Aquarius has benefited your Customer Service? The benefits have been massive. Without the service Aquarius provides, we wouldn’t have been able to give our clients and customers the high a standard of service which we drive towards.